Black Ops 4 is already on shelves, and it's performing well. While physical sales have been the lowest for a Call of Duty launch in 11 years, Activision reports record-breaking digital sales for day one. As the shooter approaches the end of its first full-week on the market, it's worth taking a look at what critics are saying about it. Reviews were scattered throughout the week, rather than being ready for launch, since some sites opted to test the game's multiplayer performance once it was in the hands of the public. Perhaps the two most notable features of Black Ops 4 are the inevitable battle royale mode Blackout, and the lack of a single-player campaign. As a result of these changes, Keith Stuart says (in his 4-star Guardian review) that: "At first glance, Black Ops 4 looks like a sad anachronism, desperate for relevance." But reviewers seem to agree that these decisions were absolutely right for Black Ops 4. 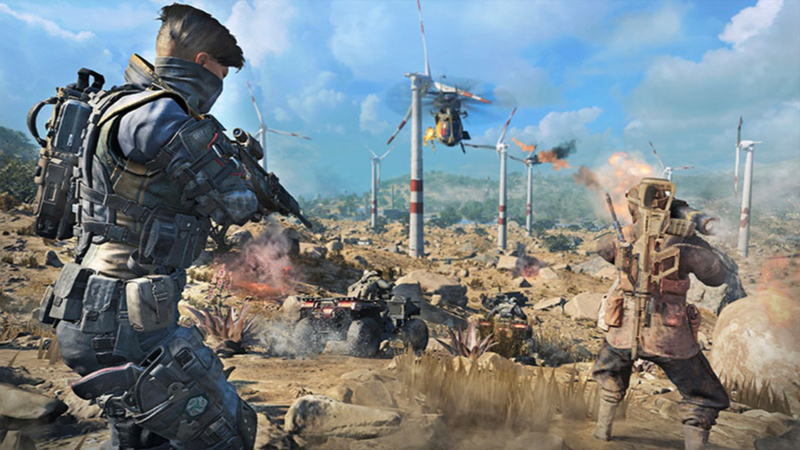 "The blazing new Blackout mode steals the zeitgeist of the battle royale's thunder, packaging it in a polished, powerful entry to the burgeoning genre"
"The gamble pays off, as the title features more modes, settings, and ways to engage than any game in the series I can recall," writes Game Informer's Daniel Tack in a review that gave the new Call of Duty a 9.5 out of 10. "The blazing new Blackout mode steals the zeitgeist of the battle royale's thunder, packaging it in a polished, powerful entry to the burgeoning genre. If you're willing to eschew single-player completely, the payoff is worth it." The Telegraph's Tom Hoggins agrees, awarding Black Ops 4 top marks and writing: "While there is part of me that still hankers for my yearly fix of the breakneck bombast and ooh-ra melodrama of a Call of Duty campaign, Black Ops 4 won me over with its ebullient variety and extraordinary polish. It is, simply put, the most fun I've had with a FPS multiplayer package since Overwatch rewrote the rulebook in 2016." In his 9/10 review for Push Square, Liam Croft notes that the lack of campaign is "not to say there isn't any content at hand for those who prefer to play alone at all", although notes that "what there is to experience lacks any sort of cohesive narrative or real drive to press forward." Single-player content appears to be limited to a series of missions that serve as tutorials for the various Specialist classes available in multiplayer, but Croft deems this "a complete waste of time", adding: "We don't think this was meant to be any sort of replacement for a full single-player campaign, but nevertheless, it's not something you should bother engaging with." Most reviews inevitably dedicate much of their word count to Blackout - developer Treyarch's take on the increasingly popular battle royale mode. Tack calls it the "unquestionable star of the show", praising its "almost perfect" pacing. "I find it hard to imagine a Call of Duty game without a battle royale mode, so successful is this new way to play the series." "[There's] a lot less foraging and a lot more action thanks to a map size that facilitates a focus on fighting," he writes. "Moments where you're running around in the doldrums of fields, rocks, and trees without enemy contact are few and far between." Eurogamer's Wesley Yin-Poole spends most of his Recommended review discussing the mode, observing that while it "does not rewrite the battle royale rulebook... it stands out because it works really, really well." He writes: "When it first emerged developer Treyarch was jumping on the battle royale bandwagon, it was hard to imagine how the traditional Call of Duty experience, with its blistering, 60 frames per second gunplay and speedy first-person action would translate into a massive map and a genre where tactics are as important as an accurate trigger finger. Now... I find it hard to imagine a Call of Duty game without a battle royale mode, so successful is this new way to play the series." Yin-Poole compares Blackout to the genre's leaders, claiming that while Fortnite's building mechanic makes it less accessible than its cartoony visuals suggest and PUBG's slower pace leads to incredibly stressful but short moments of action, Call of Duty is more balanced. "Blackout has an easy to learn but hard to master flow about it, an almost Blizzard-esque quality lent to battle royale," he writes. Meanwhile, Hoggins posits that it's Call of Duty's "slick and precise" combat that is the key to Blackout's success: "Shootouts can become either brilliant stand-offs in a way other games can't quite manage, breathless scuffles or singular acts of satisfying skill. Even as a player of limited talents, I've had them all." He adds that the map, with its varied locations is "clearly built with the experience of years of CoD map-building, with multi-levelled buildings allowing smart flanking, challenging sight-lines and areas that can be holed up in should you find yourself at the center of the circle." "This is the raw, unreconstructed CoD experience... But there is nothing astounding here"
He concludes: "Blackout feels more immediately rewarding and accessible than genre rivals. Even Fortnite, for all its popularity, has the convolution of building for new players, while its fluffy gunplay can't hold a candle to CoD's robust shooting. Here it's about moving tactically and making best use of the gear scattered around the map." 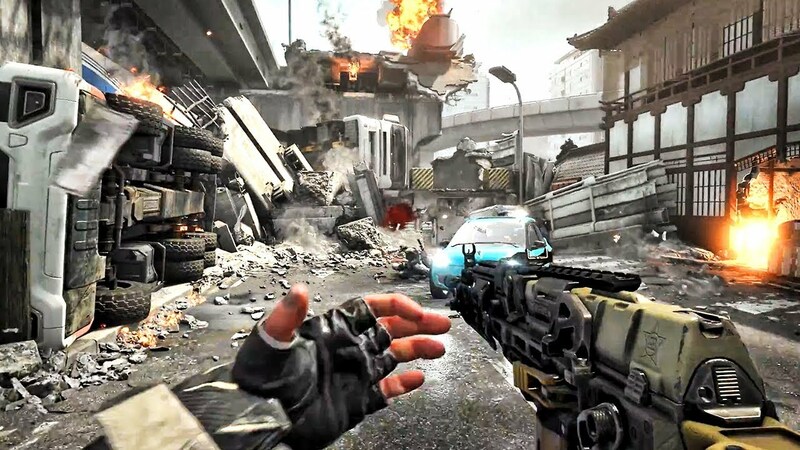 Yin-Poole warns that "there is a tradeoff" in terms of visuals, with Blackout less impressive than the game's other multiplayer modes. "In fact, at times it looks distinctly last gen - as if you're playing Call of Duty on an Xbox 360. But Treyarch made the right call here - performance over detail, quality of experience over looks. For Blackout to endure - and I believe it will - it had to feel like Call of Duty despite playing out on a much grander scale than the series has ever seen before. The developers have nailed this. It's a really impressive effort in what I suspect was a quick turnaround." Of course, Black Ops 4 has plenty of other multiplayer modes to entertain players, ranging from the standard team deathmatch to capture-the-flag variants, a Payday-style Heist mode and the return of co-op Zombies mini-campaigns. While you might think the bulk of the effort has gone into Blackout, critics report all other modes have their own shining qualities. 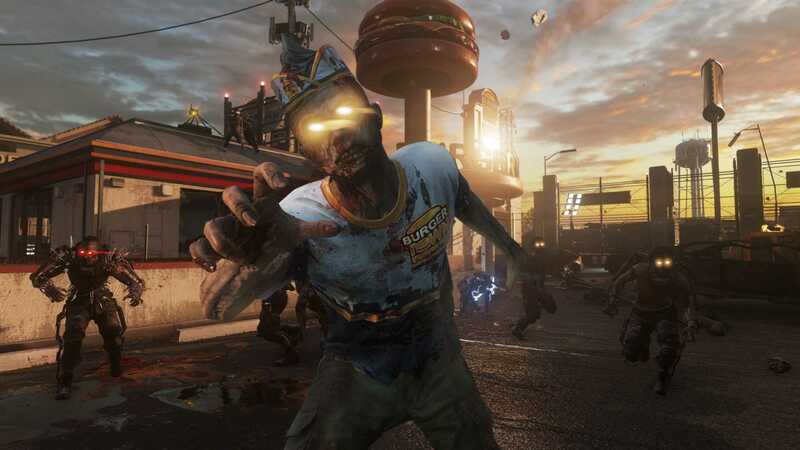 The Zombies mode in particular received praise, with Stuart writing: "The maps are riddled with secrets, traps and easter eggs, and part of the fun is exploring and working out new ways to evade your stumbling, rotting enemies. The visual design is lovely, the environments are labyrinthine and interesting, and there are some decent quips from the cabal of weird characters. When playing with friends, there is a brilliant interplay of camaraderie and selfish panic." "Blackout feels more immediately rewarding and accessible than genre rivals. Even Fortnite, for all its popularity, can't hold a candle to CoD's robust shooting"
Speaking of the combined multiplayer package, Hoggins says: "It is, for my money, the most complete, polished and enjoyable multiplayer portion of a Call of Duty game for several years. And this is hardly a series that has skimped." However, Stuart warns this may all be a little too familiar to series veterans: "This is the raw, unreconstructed CoD experience: super-fast-paced online shooter action, where most players will move through the spawn-die-respawn cycle at hypnotic speed, as though trapped in an internal combustion engine of military horror... But there is nothing astounding here, and public servers always have been and always will be dominated by blank-eyed 14-year-olds with snake-like reaction speeds. The experience is a bit like gambling in a sleazy casino - fun and exciting, as long as you know you're gonna lose." There have been some tweaks to the series' tried and tested combat - most notably, health does not automatically regenerate. Instead, players have to manually heal with the tap of a shoulder button. Croft says this might seem like a small different, but it "fundamentally changes the way you tackle combat". "Instead of running and gunning and letting your health catch up with you, you now need to take a second and heal yourself back up before re-joining the fight," he says. "It's more of a tactical approach that we think really works when compared to the screens of red jelly you'd have to put up with in previous titles when low on health." Croft finishes by reiterating that while there will always be those who "lament it for the lack of a single player campaign... what Call of Duty: Black Ops 4 does for its multiplayer experience is nothing less than phenomenal", concluding: "As a package, you're going to struggle to find much better than Call of Duty: Black Ops 4 in the multiplayer market this year." Equally, while some will accuse Activison of jumping on the battle royale bandwagon, Yin-Poole observes: "There was a time when shooters copied Call of Duty. Now, Call of Duty looks to other games for inspiration. I'm not sure there's much to be done about this, but I do know this: when Call of Duty puts its mind to something, it knocks it out the park." Finally, Stuart concludes that this year's Call of Duty is "a strange game, at once harking back to its past, tampering with the present and thinking about the future." "Its merging of narrative, co-op and competitive multiplayer experiences tells us where big-budget games are invariably heading - toward vast, streamed, super-monetised entertainment platforms," he says. "Activision is yet to add any sort of loot system or in-game store to Black Ops 4, but you can bet it's coming. While it definitely takes ideas from PUBG, Fortnite and Overwatch in its 'specialist' characters with unique skills, this is very much the familiar CoD experience: responsive controls, incredible speed, varied and well-balanced weapons, frenetic yet nuanced engagements. "It may not tear anyone completely away from Overwatch or Fortnite, but it offers a tactically rich alternative for players who want something with more grit, naturalism and sweaty peril. It is perhaps strange, perhaps even guilt-inducing, to take such pleasure from a game that wears its gung-ho military fetishism as a badge of honour, but as it stands this is the most enjoyable Call of Duty game for several years."